It should come as no surprise to anyone that I'm a fan of food. So, of course, if I've got good food in front of me, I'm going to defend it from all poachers. And... maybe I might keep an eye out to see if someone's not defending their yummy treats as much as they could be. *shiftyeyes* That's just what you'll be doing in Churrascaria, a new card game that's up on Kickstarter now. 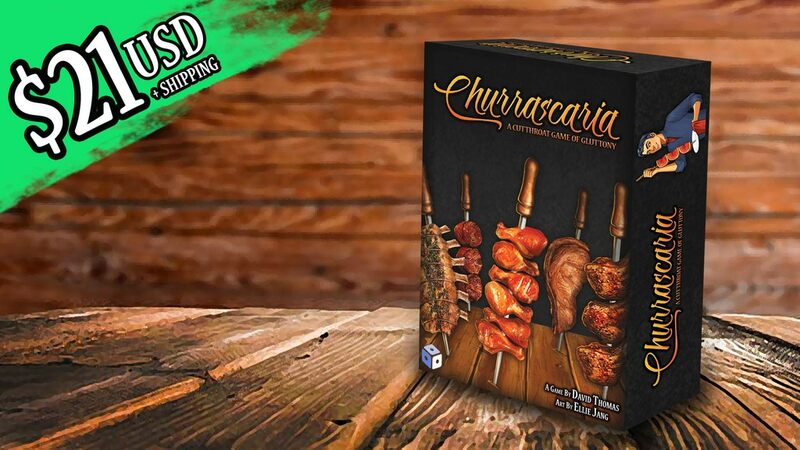 Churrascaria: A Cutthroat Game of Gluttony is a casual card game where players are trying to eat all the succulent meats that appear on their plates while avoiding the equally delicious but ultimately unsatisfying sides and desserts that get in the way. All the while, food theft, plate swapping, and general backstabbing keep the food flying and the steaks high. In the end, the person who consumes the most meat wins! The game's around 1/4 funded with still 27 days left to go.